A potential use case for your advisors or professional services could be the landing page. This is a great flow if you want to plan a co-browsing session with someone in the future for instance. There are two ways to approach this. 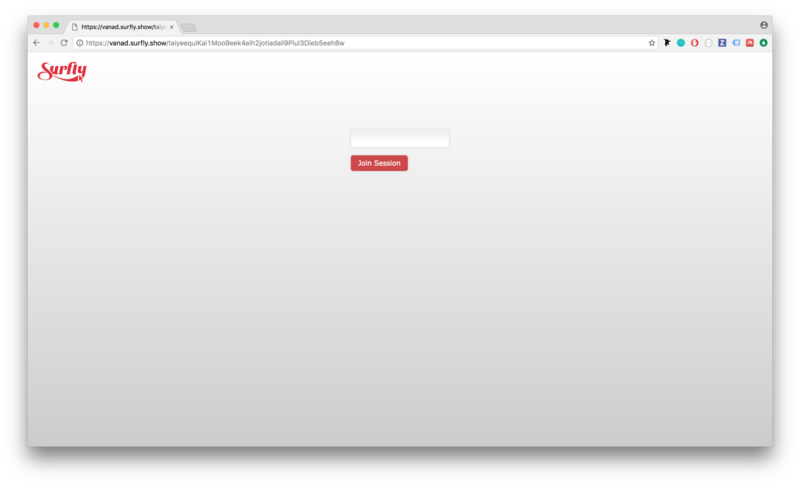 You could create your own Surfly link by adding #surflystart to the end of your URL, like this: example.com/#surflystart. 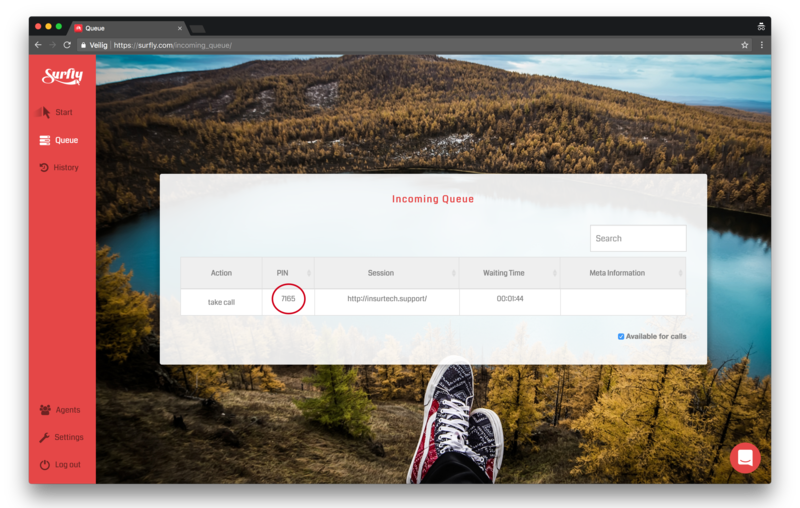 The second one is to create a new page on your website where you integrate Surfly on, and that you use as a “waiting room” for your clients. With the first option, you can simply send the URL to your clients, maybe by email or in a calendar invite. When your client opens the link, they are redirected to your website and a Surfly session will immediately start. The four-number session ID will be displayed to them, and like with the support use case, the advisor can use this number to identify the correct incoming co-browse request from the queue on the Surfly dashboard. With your own customized landing page, you could create a waiting room environment. The perks of this approach is that you can completely rebrand this flow and give it your own URL. When your client opens the URL, they see the landing page where the session ID is displayed to them. Here, you'll find an example on how to implement this. Your agent can join the co-browse session from the queue, but you can even go as far as creating an advisors landing page where they just have to type in the session ID and then automatically join the session. This is a more advanced flow that requires an integration through our REST API.